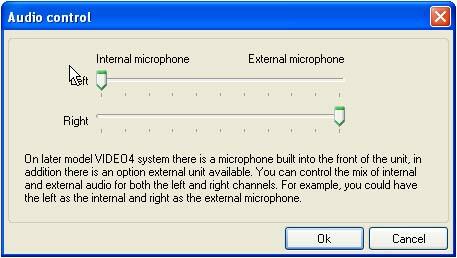 The built in microphone is only fitted to late model VIDEO4, it is not available on earlier VIDEO4s. If fitted the microphone is clearly visible and labelled on the front of the unit in the center of the front panel. 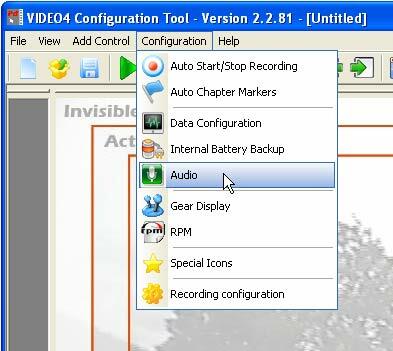 The audio is setup from the �VIDEO4 Configuration Tool� program, from the Configuration -> Audio menu.